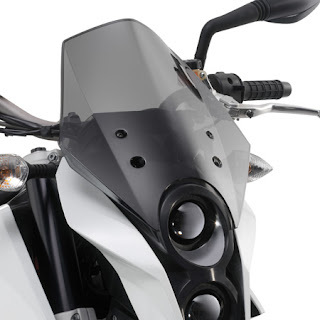 KTMtwins.com KTM Motorcycle and Product News: KTM 690 Duke Touring Windscreen now in stock! KTM 690 Duke Touring Windscreen now in stock! Need some additional wind protection for your KTM 690 Duke. KTM's 690 Duke Touring Windscreen is now in stock and ready to ship. Get yours before they sell out! Vortex has your 990 Super Duke covered! REV'IT has conquered winter chill!